I wanted to see how far I can go! In getting ready for The Havre de Grace Art Show 2017, I decided to make a show stopper party cake. I make great soap, most of my customers prefer to buy the rustic bars I make in hot process. But I want a masterpiece. 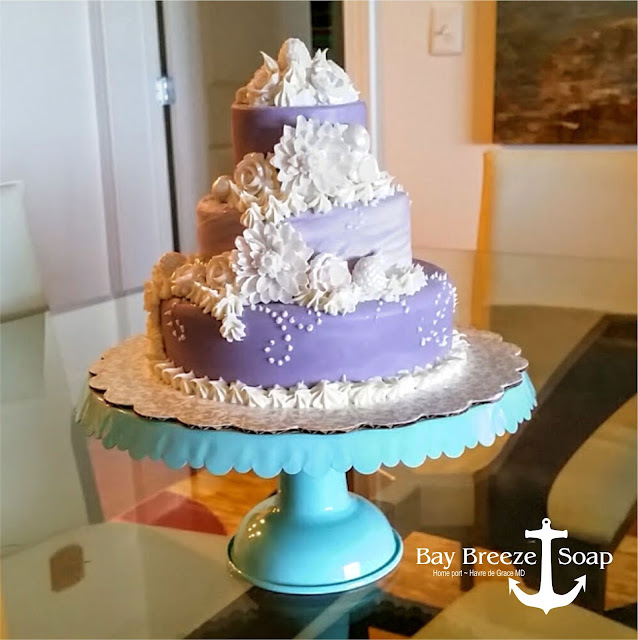 I'm making a lilac 3 tiered wedding cake! This wedding cake took a week to make. I made much of the floral pieces in glycerin before starting the cake. I found the cutest small silicone mold for the 3 parts. It's a cold process design soap, very liquid-y and allowed the most delicate swirls in the middle layer. Carefully assembled over the week- it came out even better than I'd dreamed! 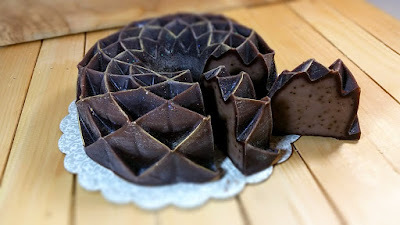 I also made a dark intricate mold cake in Black Amber Lavender. Oh goodness it's gorgeous! Turns as dark as fudge after it's cut, magical. 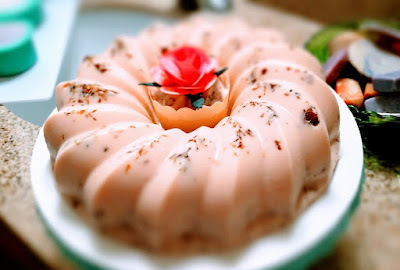 The peach colored cake is quickest to make and will be a favorite for party & wedding favors. 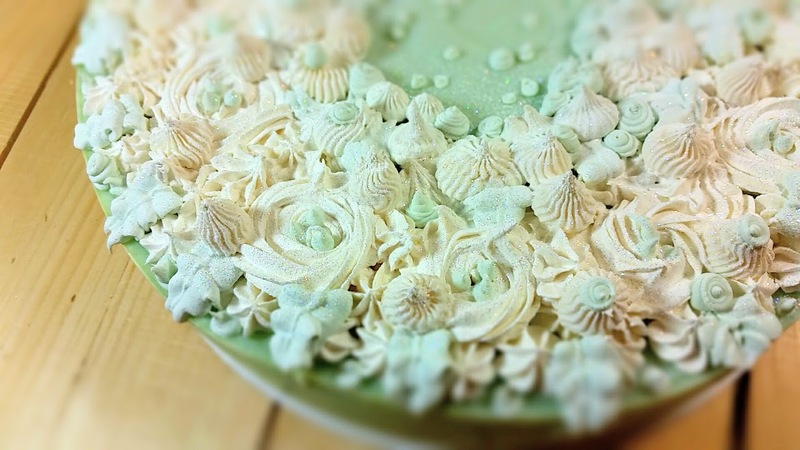 I can pre-cut a cake, or you may have the pleasure of cutting at your party. A fun thing to do at a bridesmaid or baby shower and a wonderful memory to keep (and use). 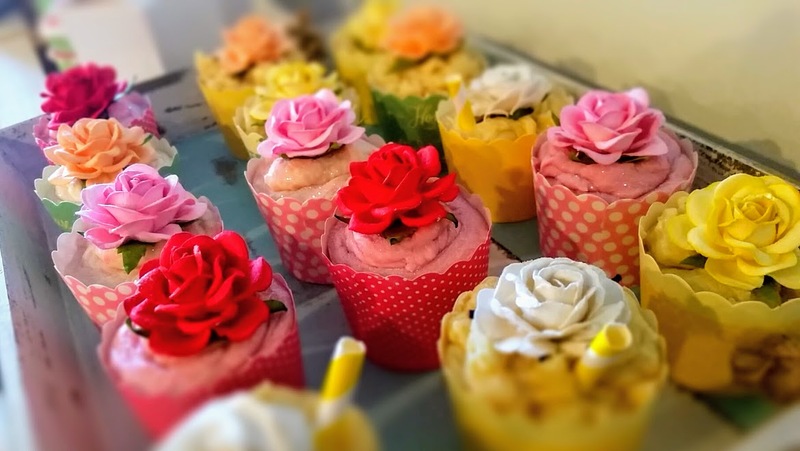 More rose cupcakes too. At market our soaps are $5.00 each. 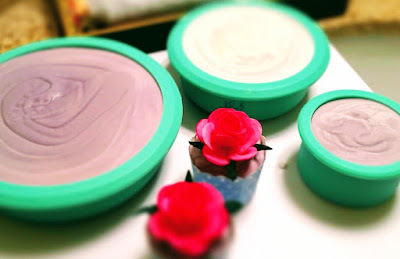 If you buy 4, you get one of the cute cupcake soaps too! 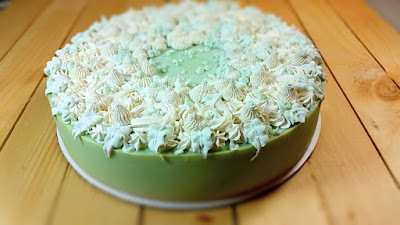 Check out how easy it is to cut a soap cake HERE at my quick video. Cheers! These party cakes seem to be really yummy. I really wonder where you get the ideas and designs from. My sister in law is also quite creative and all our party ideas at venues in NYC are suggested by her only. Her perfect management and even cross checking the budgeted bookings is praiseworthy. Next is her mom dad's anniversary party soon.